Photo By www.BiggerPockets.com - Great Educational Forums There! This week we have a nice treat for you. 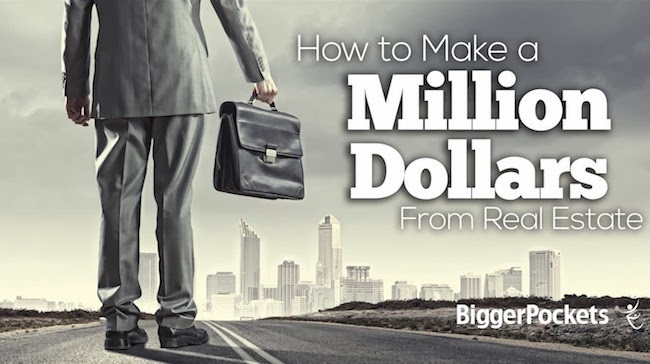 Our President, Andy Stowasser, will be walking the group through a meeting called How To Become A Millionaire Investing In Real Estate In Your Spare Time. I can’t wait to hear it. I always like to hear our members speak who are people who have been there and done that. Andy is one of them for sure. I’m guessing he will be taking a buy and hold approach in this meeting. Information such as this is extremely valuable. Secrets of the wealthy are disclosed. There is plenty of room for us all to fill our pockets. If you are not a premium member at this point hopefully you will consider signing up. It’s going to be a packed meeting for sure. Make sure you get there early because if we get stuck in the small room and you are late you probably won’t get a seat. Over the years I can pretty much predict how many people will be at whatever meeting based on the topic. I guarantee it will be a packed house tomorrow. These kinds of meetings benefit those on their way to millions as well as those who are already there. I most often pull out a few gems of information that help me step it up to the next level. Education within our industry is key to success. So reschedule your plans if you already have them because we’re talking money and potential life changing events. Whatever else you are doing can wait.